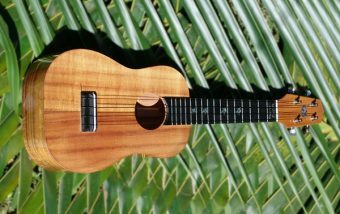 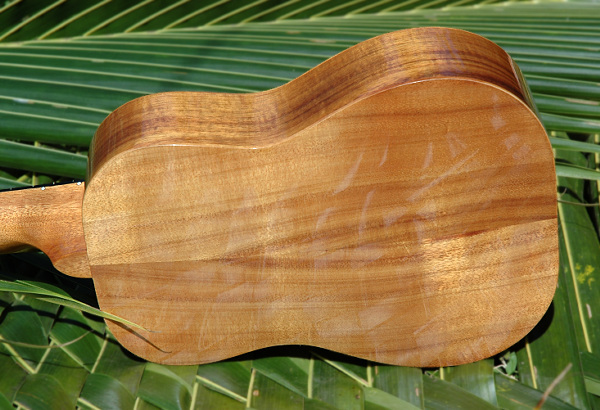 This is a concert ukulele made on Kauai by Island Ukulele. 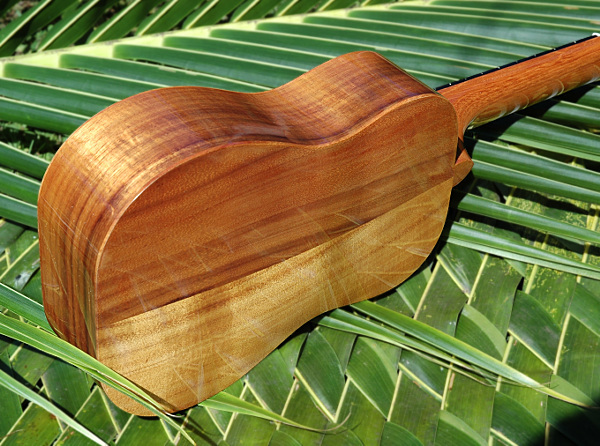 The body is Koa wood. 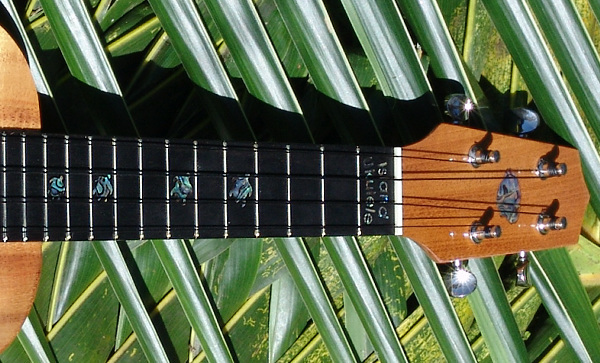 It has an abalone inlay of the island of Kauai on the head, and "Island Ukulele" and Turtles on the fret board.